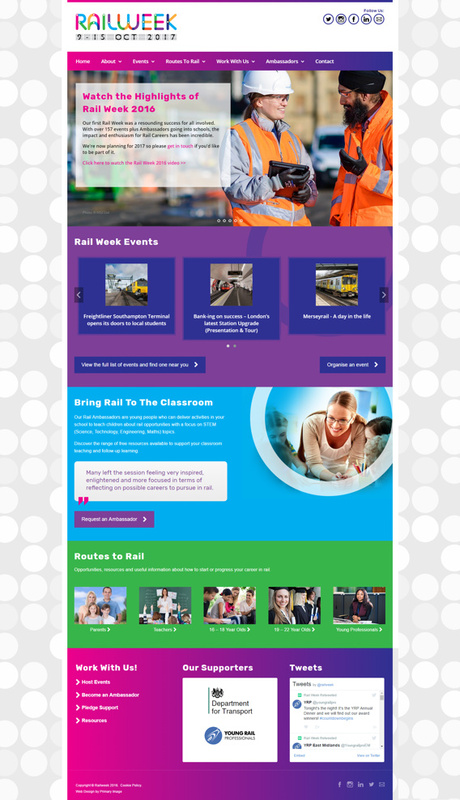 Rail Week chose Primary Image, the leading designers for the rail industry, to develop their website. 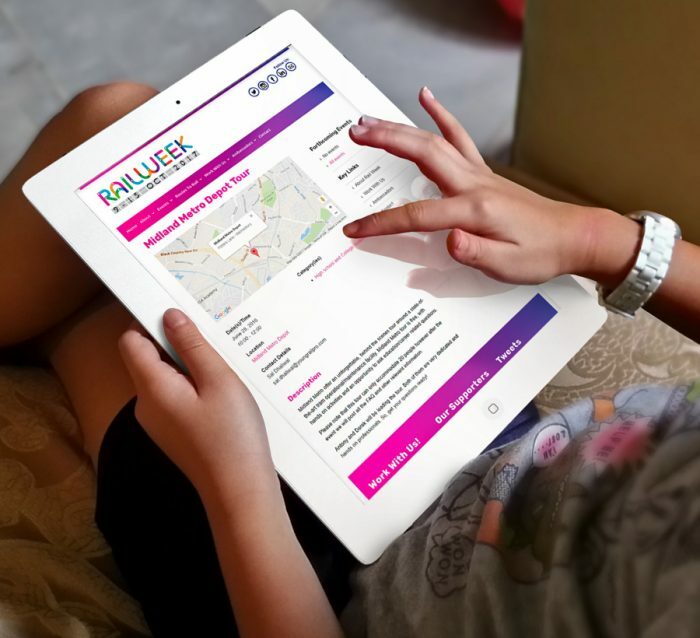 Rail Week is a cross-industry initiative to promote career opportunities within the rail industry, mainly targeted at schools and universities. Over 150 events were organised during Rail Week 2016, including educational activities and behind-the-scenes tours. Rail Week is led by the Young Rail Professionals, who we have worked closely with for many years. Rail Week received backing and support from across the industry, including endorsement from Rail Minister Claire Perry MP. In our initial meetings, we discussed some of the practicalities of turning the organising team’s ideas into a working website, including understanding their proposed workflow. We liaised with their brand designer, combining their artwork with our technical knowledge of creating successful websites. The outcome was this bright, fun-looking website, which is entirely appropriate for the target audience. Design elements include having large buttons, moving carousels and social media integration throughout the site. The facility for Rail Week to create organiser accounts. Organisers being able to publish their own events. Automatic Google Maps generated from the address information. Attendee information can be stored and downloaded. Bookings are closed when event limits are reached. The web design was kept as easy-to-use as possible, with clear navigation options and it’s fully functional on mobile devices. The website is built on the WordPress platform, which is a modular, cost-effective and very reliable base. 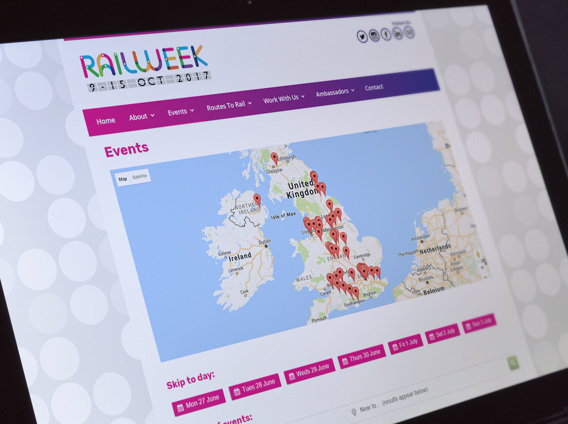 Primary Image also provides web hosting for the Rail Week website. Due to the nature of Rail Week, demand on the website was high over a short period of time, but that is something our web servers were easily able to handle. 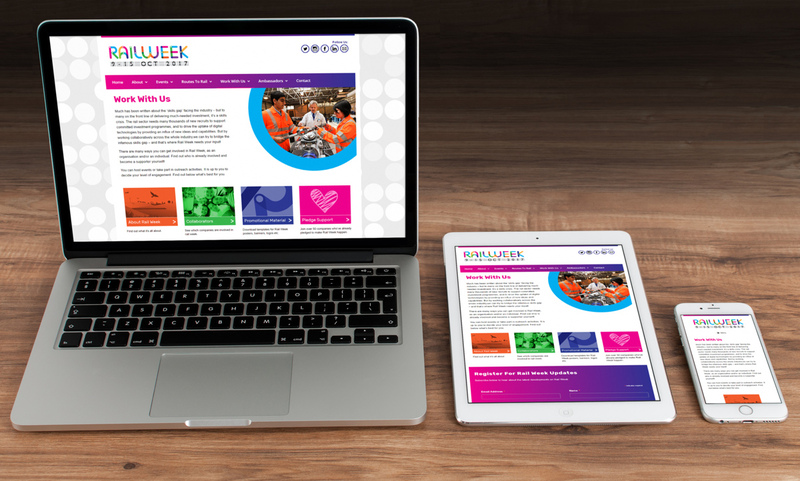 Do you need an events directory web design for your organisation? We have proven experience in this area, so get in touch!